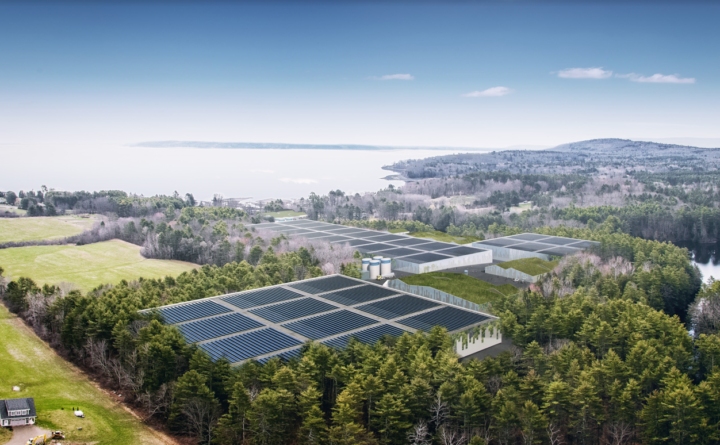 The debate over two land-based salmon farms in Penobscot Bay spilled inland to Augusta on Thursday during a public hearing on a proposed law that would affect the licensing of such projects. The bill, sponsored by Rep. Jan Dodge, D-Belfast, would allow the commissioner of the Department of Agriculture, Conservation and Forestry to refuse to issue or to revoke an existing license for a land-based aquaculture project if it alone or in combination with another project is found to present an unreasonable risk to native species or the environment. Some of those who testified in favor of LD 620 are veterans of the fight over Nordic Aquafarms’ proposed land-based salmon farm in Belfast, which has consumed the community for more than a year. Another project, Whole Oceans, to be located in the former Verso paper mill in Bucksport, has received much less criticism locally, but has been challenged by some in Belfast and Waldo County. Supporters of the bill said they believe it would strengthen the state’s ability to regulate land-based aquaculture projects and would allow officials to consider the cumulative effects of these projects. Linda Buckmaster of Belfast said that land-based salmon farms are using emerging and untested technology, which could cause unintended environmental problems. But opponents of the bill said that it could have a chilling effect on the state’s burgeoning aquaculture economy and that it isn’t necessary. Deirdre Gilbert, the director of marine policy at the Maine Department of Marine Resources, told legislators that the state agency with the authority to monitor the cumulative effects of nutrients discharged into bodies of water is the Maine Department of Environmental Protection, which is not mentioned in the bill. Thomas Kittredge, the economic development director in Belfast, said that the Belfast City Council recently voted unanimously to oppose the bill in its current form over concerns that it could unfairly punish one aquaculture company for the bad actions of another. “While we generally support reasonable and thoughtful regulation of all types of businesses … this amendment is diametrically at odds with that,” he said. Mayor Samantha Paradis, who votes only in the case of a tie, said at a February City Council meeting that she supports the bill. Rep. Craig Hickman, D-Winthrop, the House chair of the Agriculture, Conservation and Forestry Committee, said during the hearing that a work session on LD 620 will be held soon. Such bills are often amended frequently before committees vote on whether to recommend that the full Legislature pass or reject them.